Bob Frick, Chair of Habitat’s Foundation Board, was 70 years old when a student dared him onto a bicycle for the first time in decades, undertaking a long-distance ride to raise money and awareness for Habitat. He didn’t stop there, embarking on multiple cross-country journeys that began with his back tire in the Pacific and ended with his front tire in the Atlantic. He did his last such odyssey in 2015, at age 77, then set his sights forward to bringing entire communities together in the spirit of his ride. On Saturday, November 3rd, that idea turned into Cycle of Hope – our inaugural charity ride presented by Patelco Credit Union. 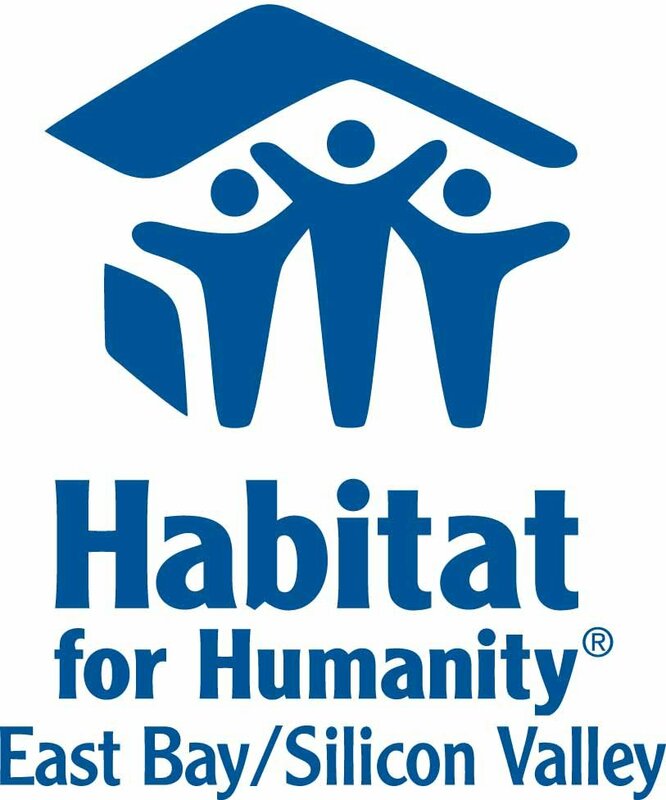 With the support of riders, volunteers, and event sponsors, we raised over $235,000 that will help Habitat continue creating affordable homeownership opportunities and building hope. 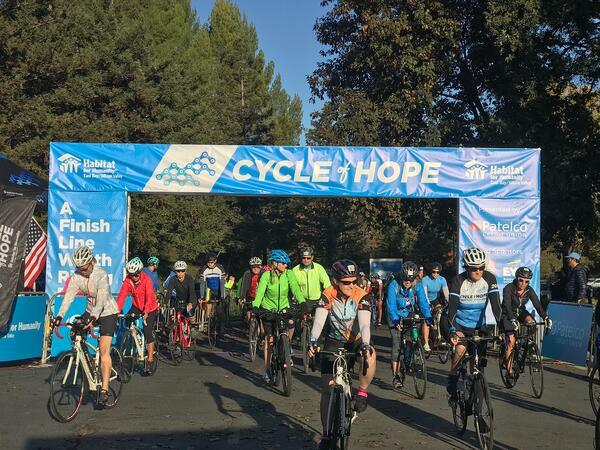 Cycle of Hope brought over 600 riders together. Some were seasoned cyclists, while others were getting on a bicycle for the first time in decades. Whether they rode the Century, Metric Century, 32-mile, 17-mile, or even the Kids’ Course, all our riders rode for the same ultimate finish line: a world where everyone has a decent place to live. Cycle of Hope called together a wide spectrum of participants from the community, from friends and families to corporate teams, organizations, and cycling groups, looking to connect their passion with a purpose. Riders pedaled for affordable housing, including Steve, Habitat homeowner in Morgan Hill. Giving those riders a fantastic experience was a team of close to 200 volunteers, including the Beltran family – Habitat homeowners in Santa Clara, and Yesenia – future Habitat homeowner at Central Commons in Fremont. Teams joined forces to ride and fundraise as a group, with our largest team coming from the alumni association of Bob Frick’s alma mater, Washington University in St. Louis, followed closely by an enthusiastic team from Cisco. The day was filled with community and festivity, with live music at water stations, local food and drinks, a main stage for entertainment, kids’ activities, and premium medals ready for cyclists returning from a beautiful ride. More than anything, Cycle of Hope was a day filled with family – the Habitat family, old and new, coming together to make a real difference in the housing crisis. Thank you to all who participated in this inaugural event! Whether you rode, volunteered, sponsored, fundraised, or just came to cheer on your favorite riders, you helped make Cycle of Hope a success. Stay tuned for details on next fall's ride and in the meantime, click here to download your athlete photos!